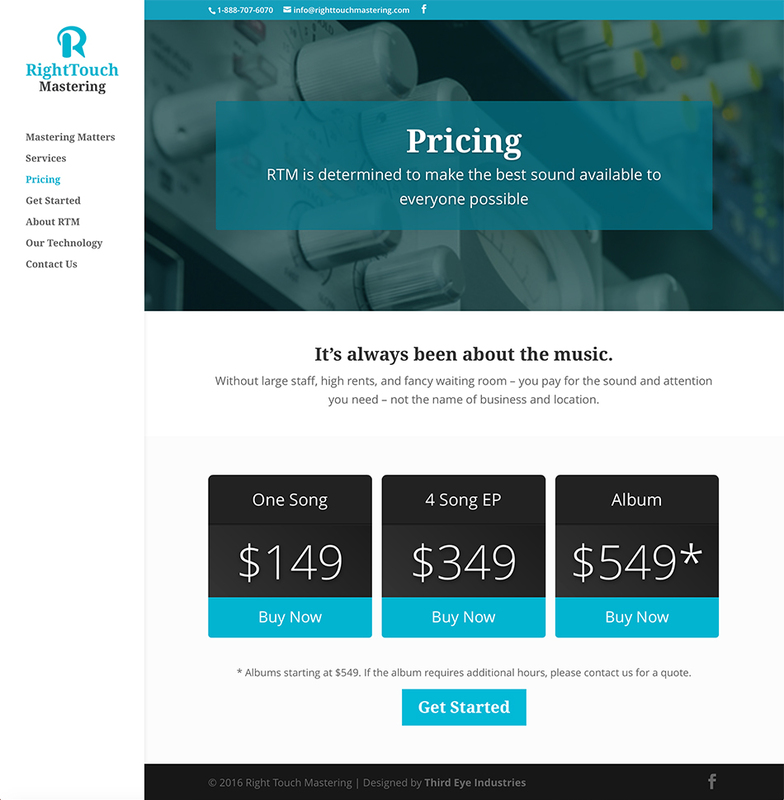 Right Touch Mastering’s custom built facility utilizes the highest-quality audio gear available in the mastering industry. 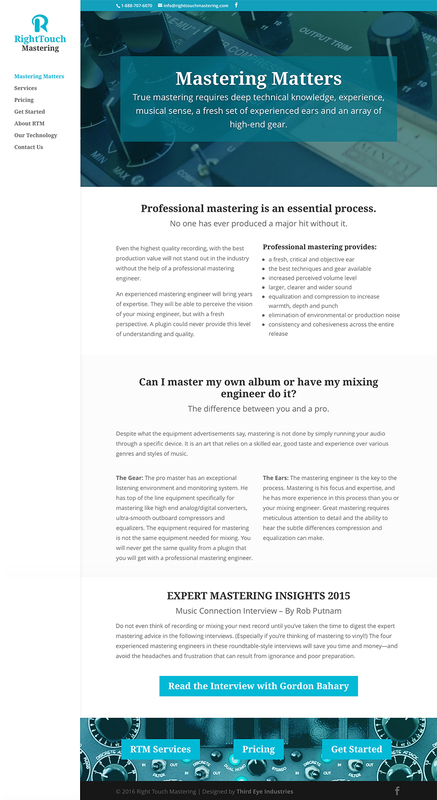 Their mastering services include digital, CD and certified “Mastered for iTunes” audio. 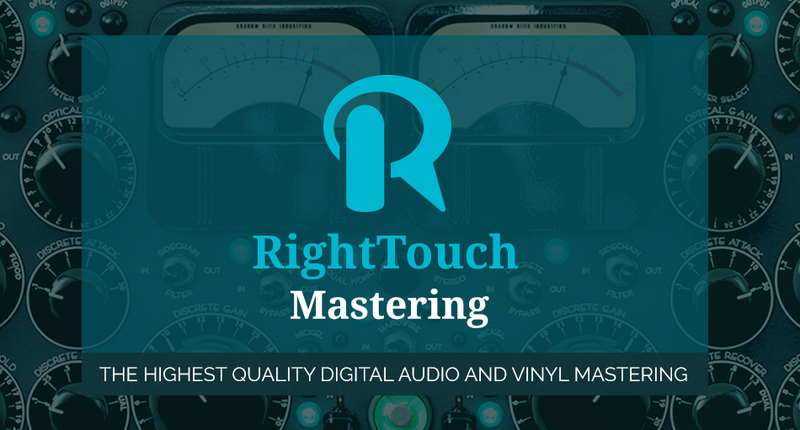 Platinum Engineer & Producer, Gordon Bahary, brings over 40 years of experience and expertise to his trade, and he is one of the best in the craft. 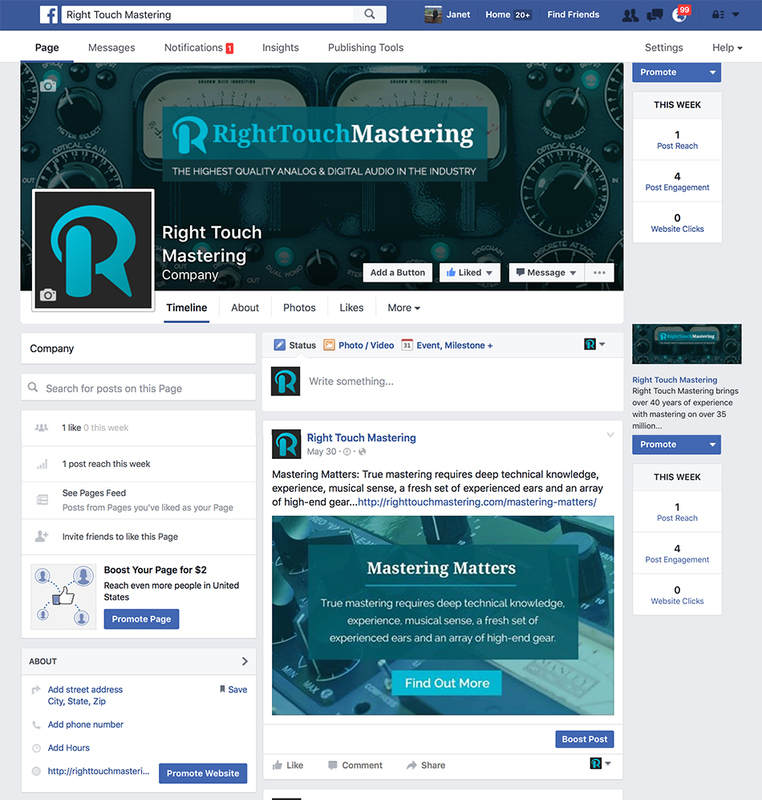 Right Touch Mastering needed a new look: logo, website and Facebook page. 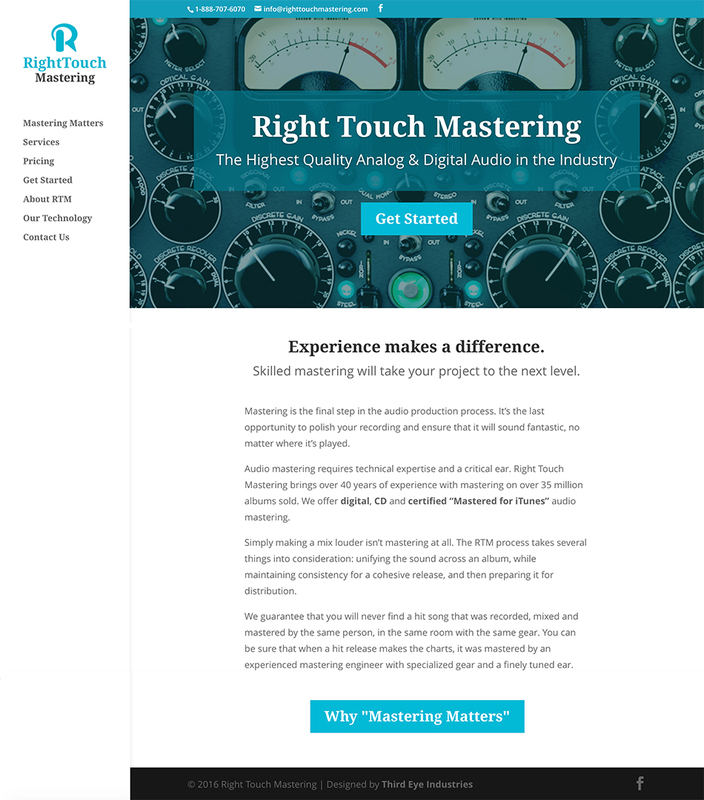 Third Eye recently did the Right Touch Media branding, so we created the Right Touch Mastering logo with the same typography and ‘R’ for a cohesive look across the two brands.